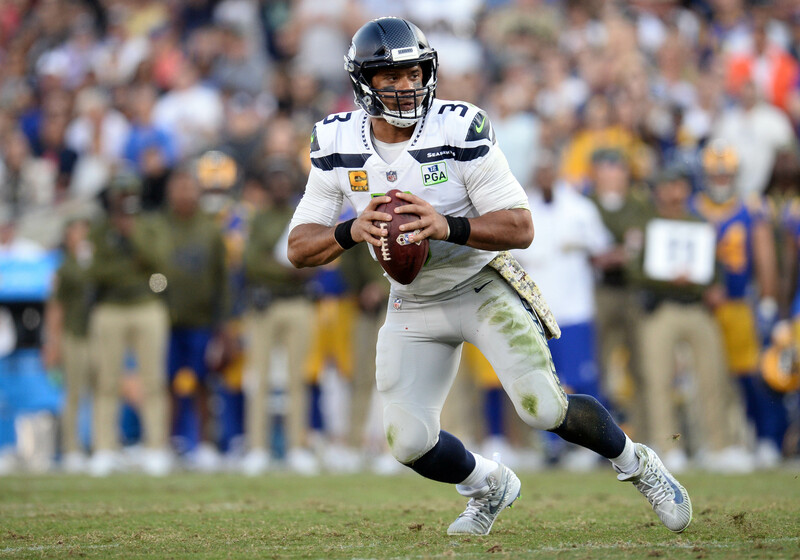 New York Giants: Russell Wilson Rumors Heating Up - Is it Possible? Home New York Giants New York Giants: Russell Wilson Rumors Heating Up – Is it Possible? New York Giants: Russell Wilson Rumors Heating Up – Is it Possible? Could Russell Wilson end up with the New York Giants as soon as 2019? At first glance, this looks like an obvious no. To counter, when you peel back the layers of rumors the past two months the path is becoming more and more clear. On February 20th, Colin Cowherd on FS1’s “The Herd” reported that there were rumors swirling around the entertainment industry that Wilson’s wife, Ciara, would prefer to live in New York, and is eyeing the opportunity of Wilson leaving Seattle for a bigger entertainment market. Wilson is set to be a free agent in 2020. Quoted by Cowherd himself, “Everybody will deny it… It’s [Rumors] not good to be out now”. On April 2nd, it was reported that Wilson was frustrated with contract negotiations. He gave the Seahawks a deadline of April 15th to offer a new contract. Which happens to be is the beginning of offseason workouts. While it is unclear on what would happen if a deal is not reached, today is April 15th. This is deadline day. Well, Tyrann, we did hear it from you but that’s beside the point for now. During the day, Mathieu backpedaled from his original tweet explaining it was only speculation based on his own thoughts. However, One hour after tweeting that Wilson wanted New York, Mathieu tweeted again that he is “too real” and that we would “get it one day”. Above all, two months after the “embarrassing” Colin Cowherd take, Wilson and the Giants have never been this closely tied. As the Wilson trade talks have heated up, it has already been put out there that the Seahawks would be looking for at least two first-round picks, and probably more. This is an extremely valid ask from Seattle as they would be trading away the face of their franchise. Whenever multiple first-round picks are on the table, everything must be considered. The Seahawks also have the option to franchise tag Wilson, which would be $30 million for the 2020 season alone. Hypothetically, Wilson could be franchised three years in a row but after a $37 million dollar tag in ‘21, the number would jump to $50 million in 2022. While it’s almost guaranteed that Wilson wouldn’t be tagged for three years in a row, it makes sense as to why the Seahawks would be open to trade him if they are certain he wants out. If by any chance the Giants have an opportunity to land Wilson, they should pull the trigger without a doubt. There is no clear option at quarterback for the future, but this could all change with acquiring Wilson. As we stand currently, there are no concrete details on either end of the spectrum. If executed, the front office would certainly win back their fanbase with this potential stunner.